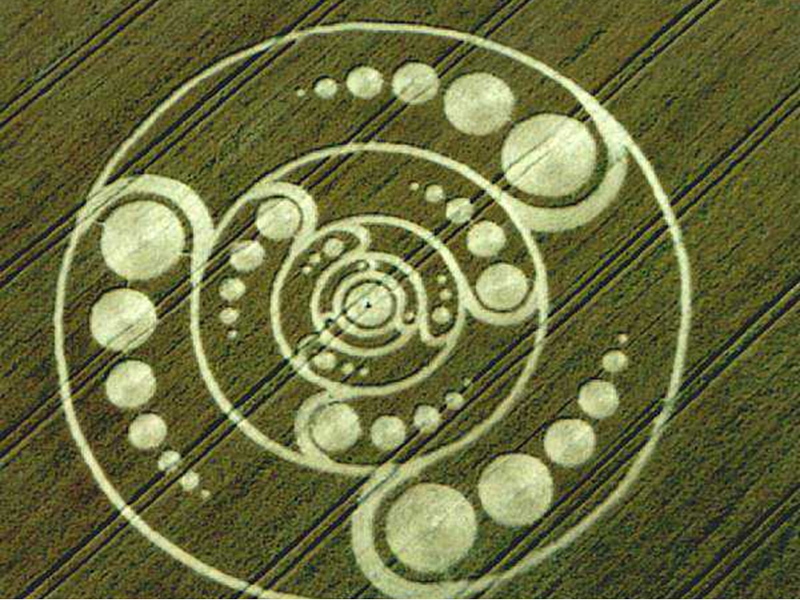 without witnesses and without passage traces on the ground. 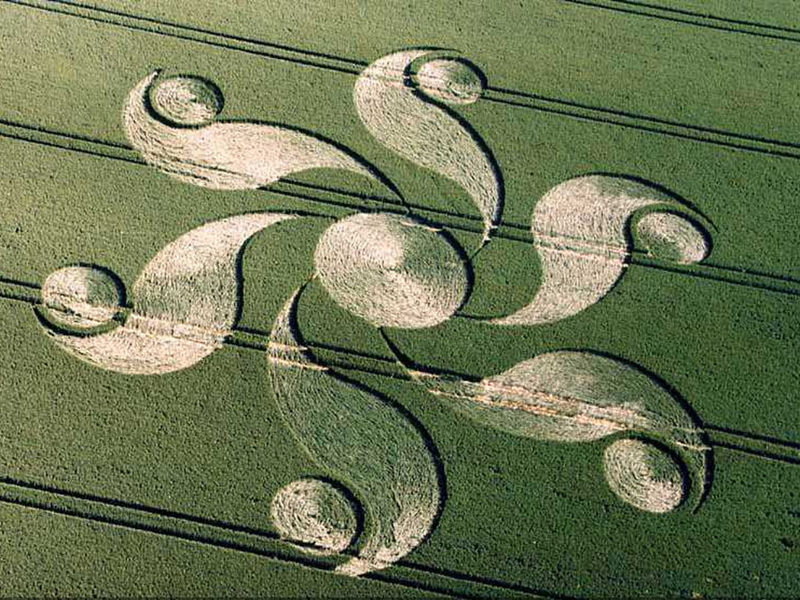 They leave every observer perplexed. 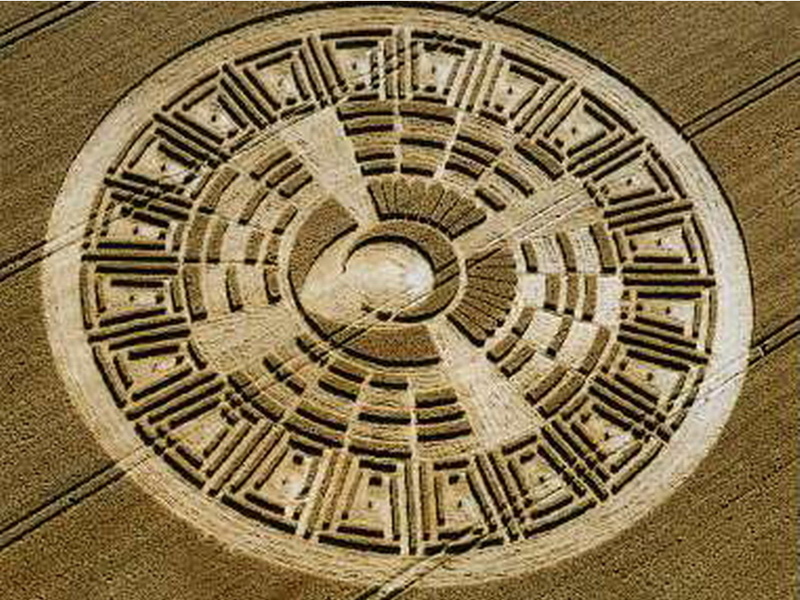 Among the mysterious phenomena in which mankind is confronted today, the crop circles distinguish themselves by the fact that they are concrete realizations, that inscribe themselves in matter, that they renew themselves every year and can be seen by everyone. 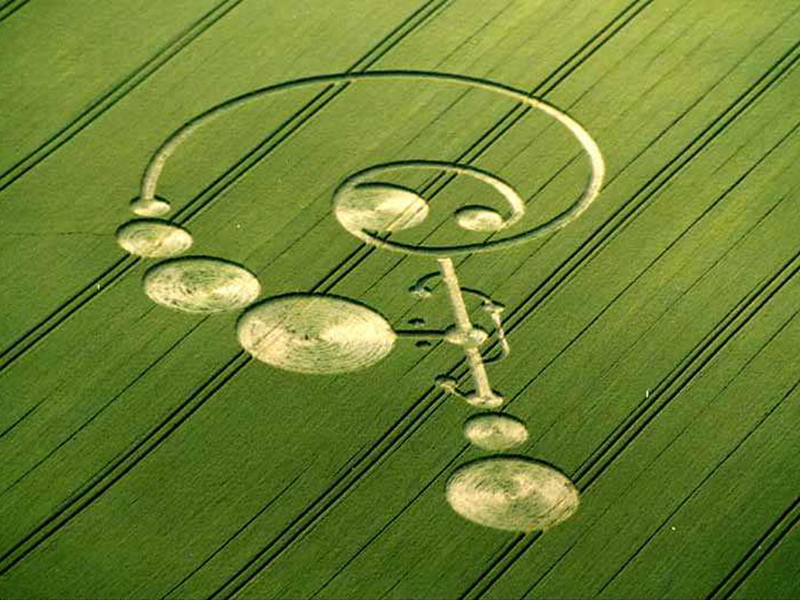 It is really a phenomenon of our time because, in spite of its seniority, the number of formations has much increased in the 1980's and actually maintains relatively stable in number. 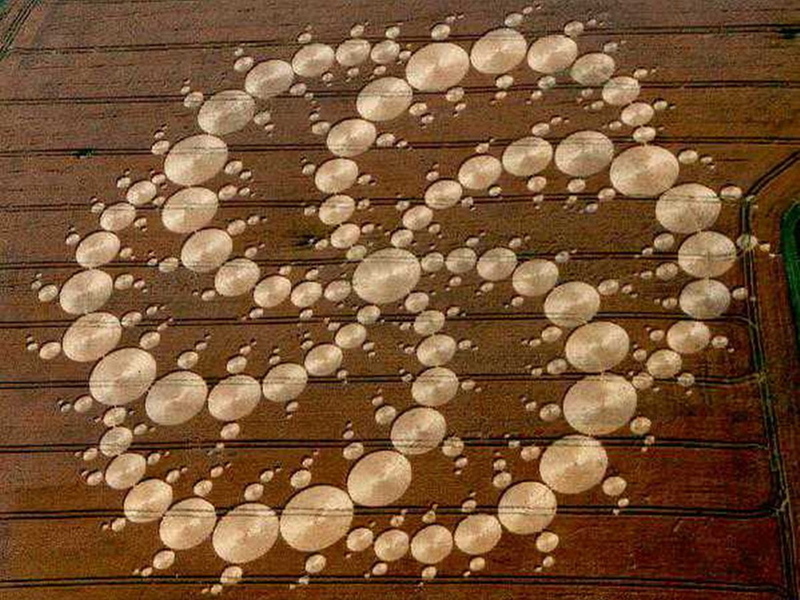 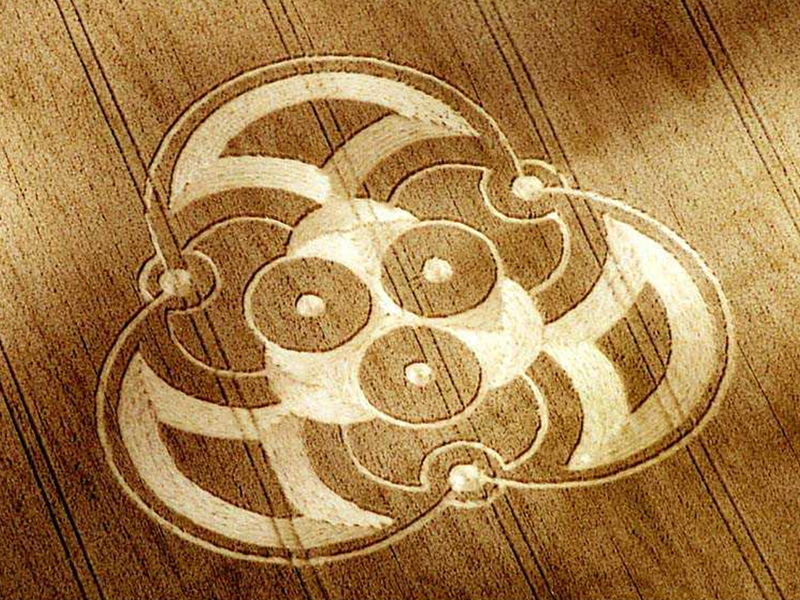 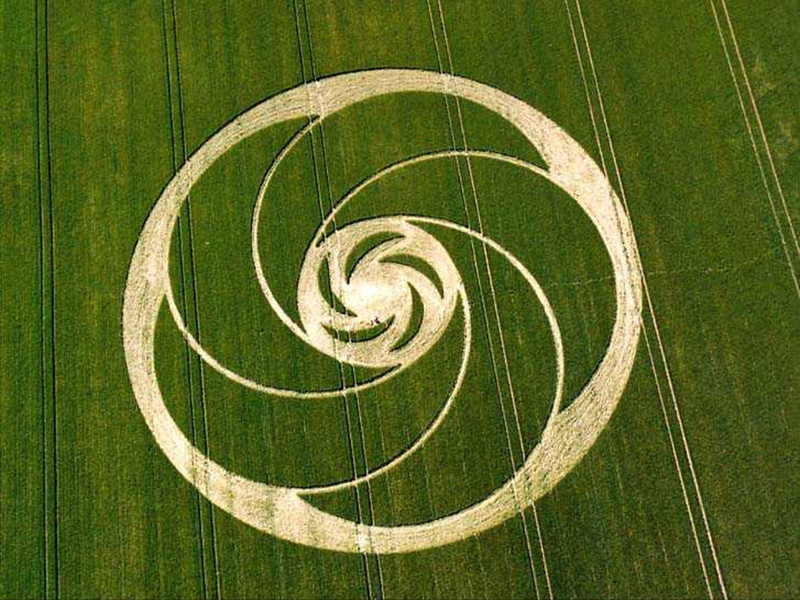 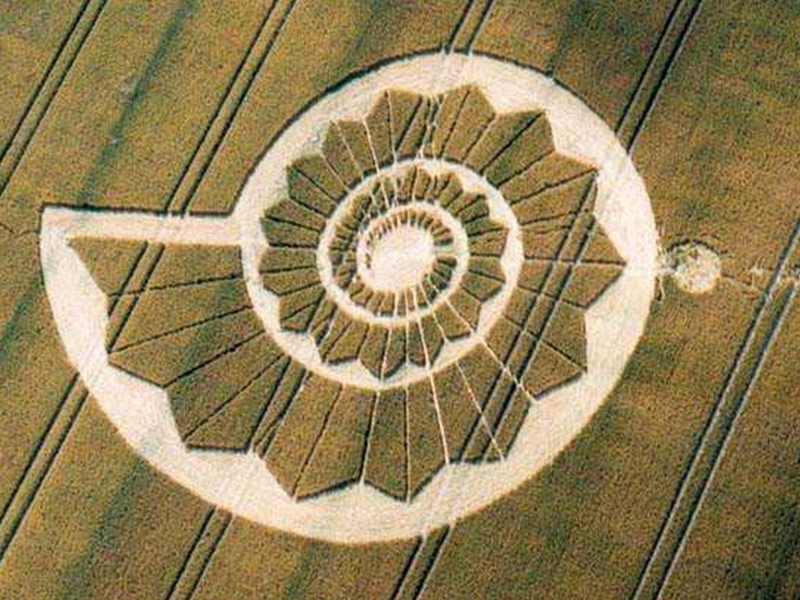 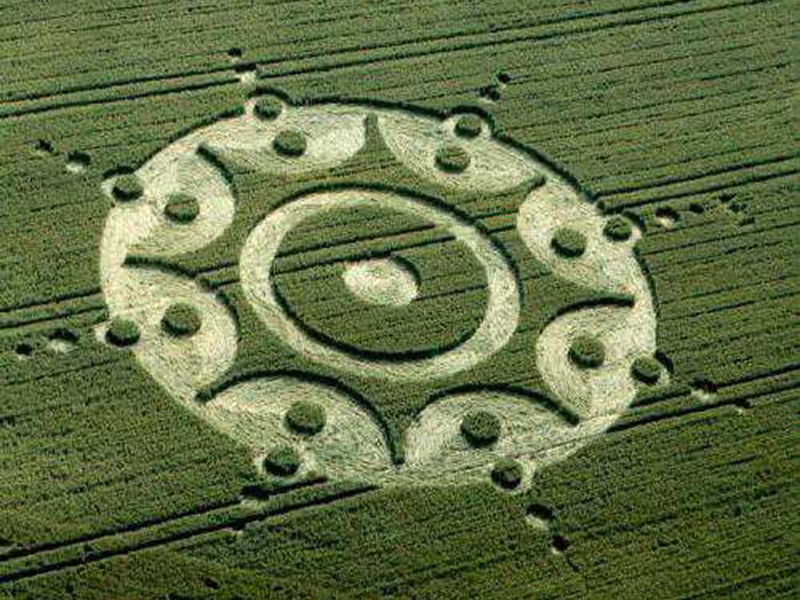 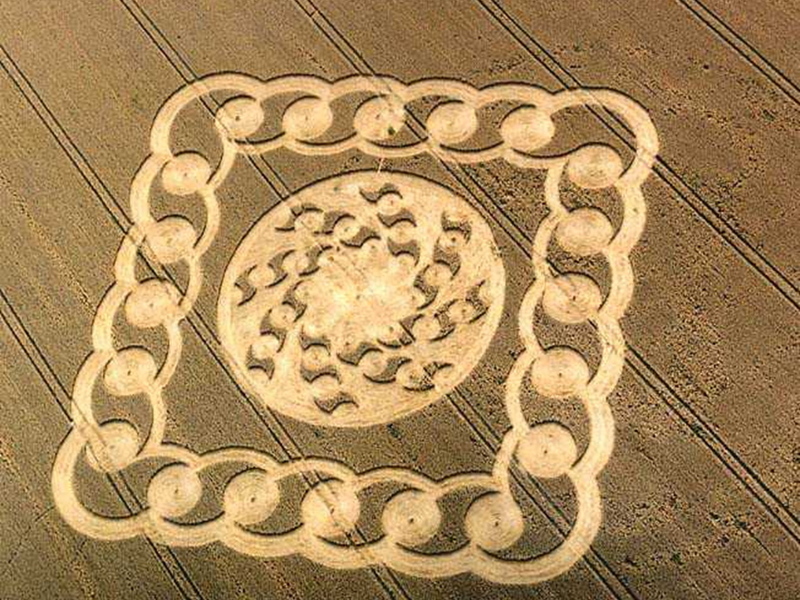 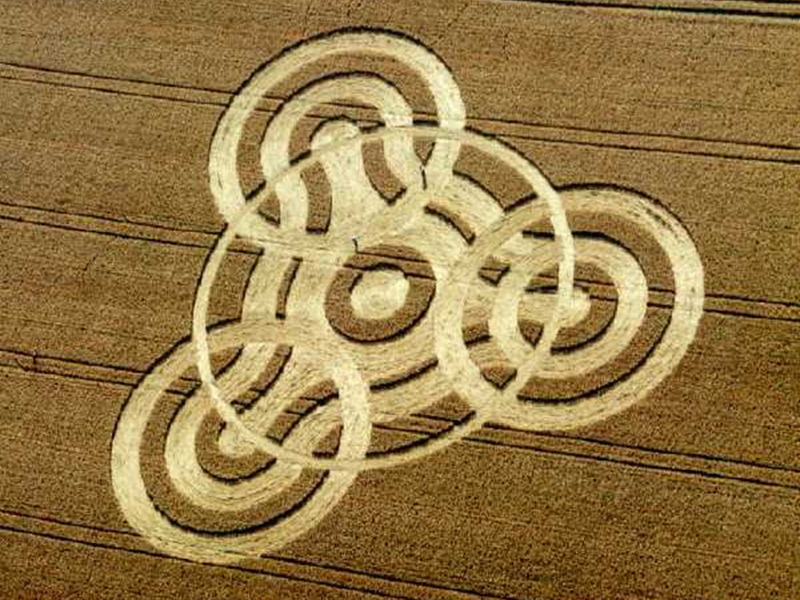 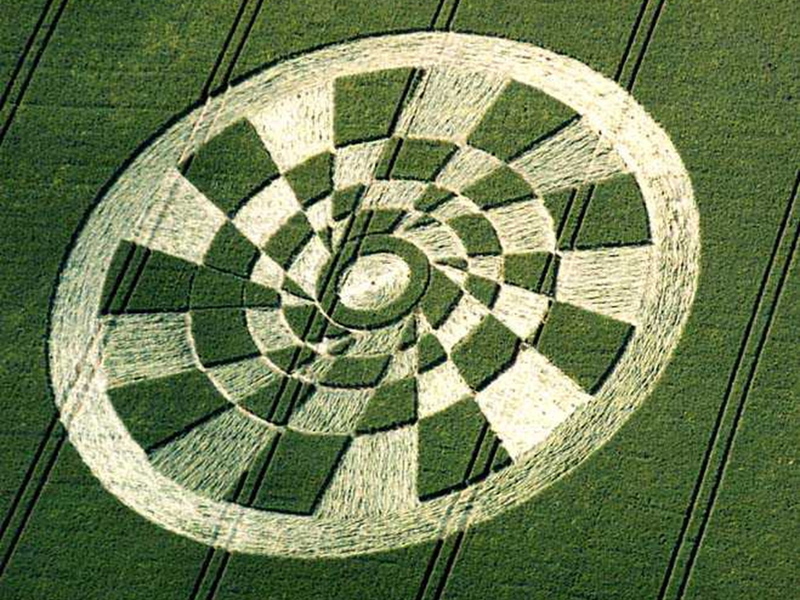 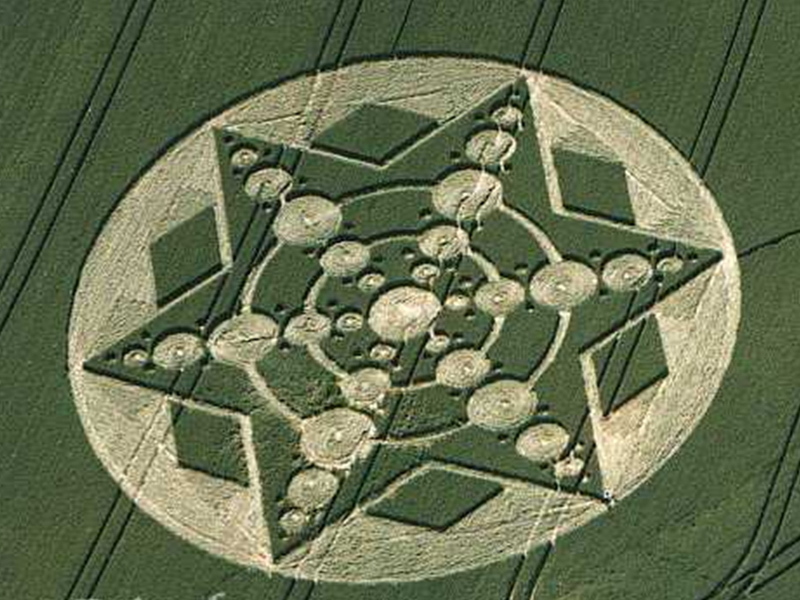 Every year more than 200 crop circles are reported from all over the world, in which a large proportion are situated in England (about one third). 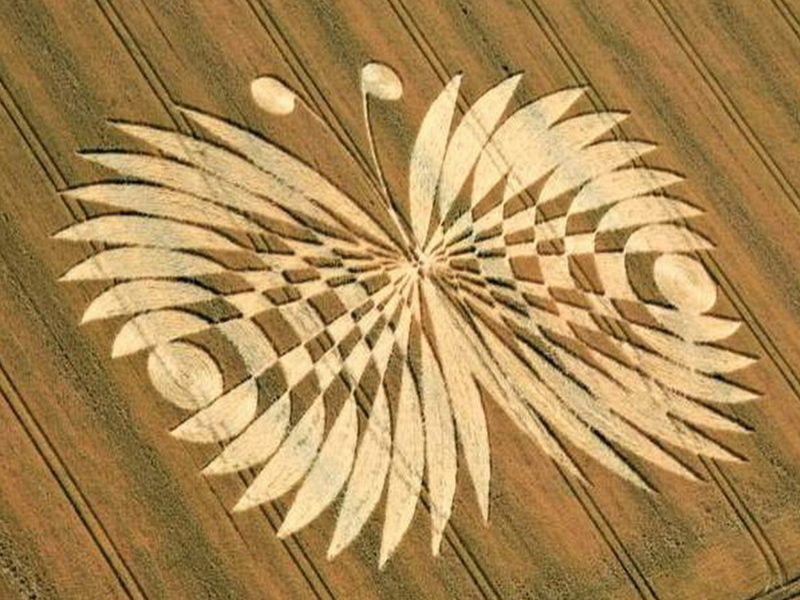 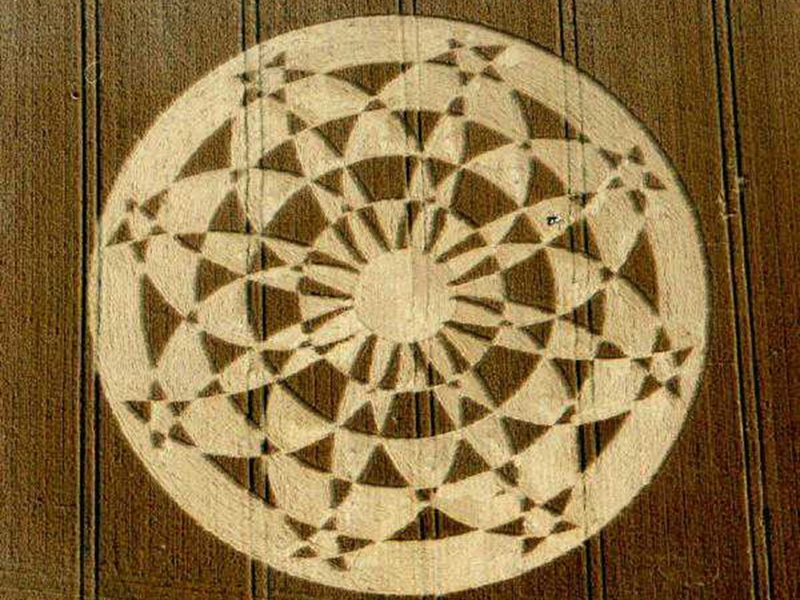 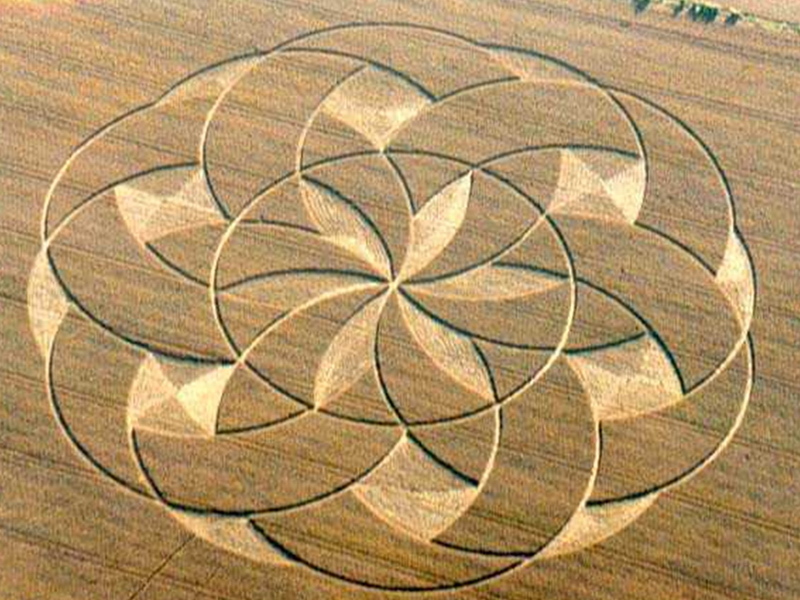 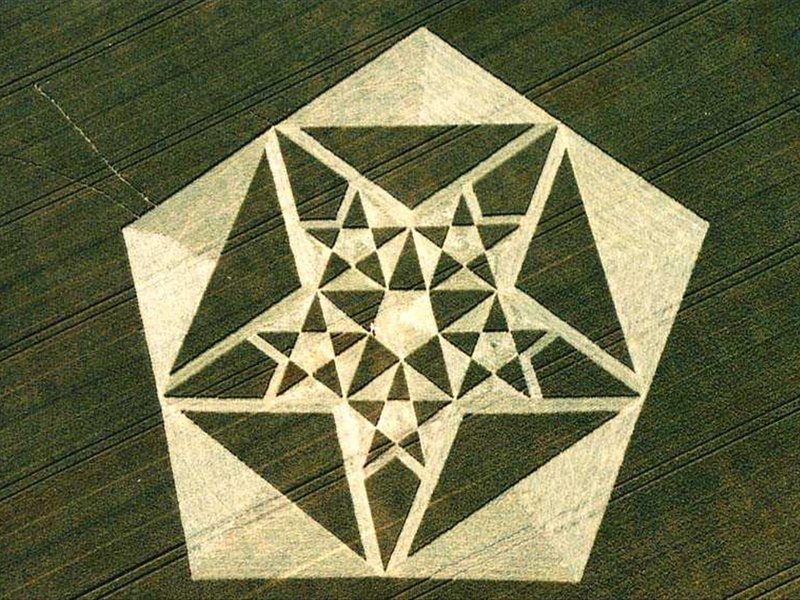 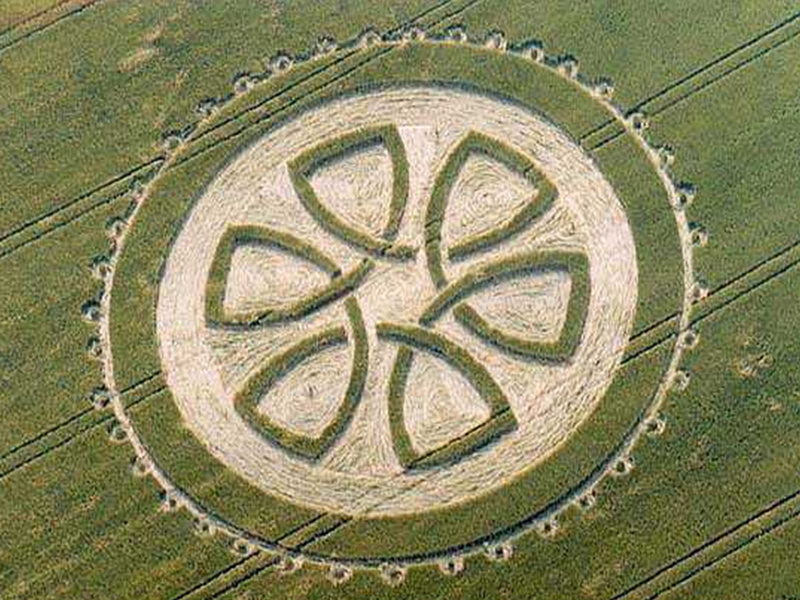 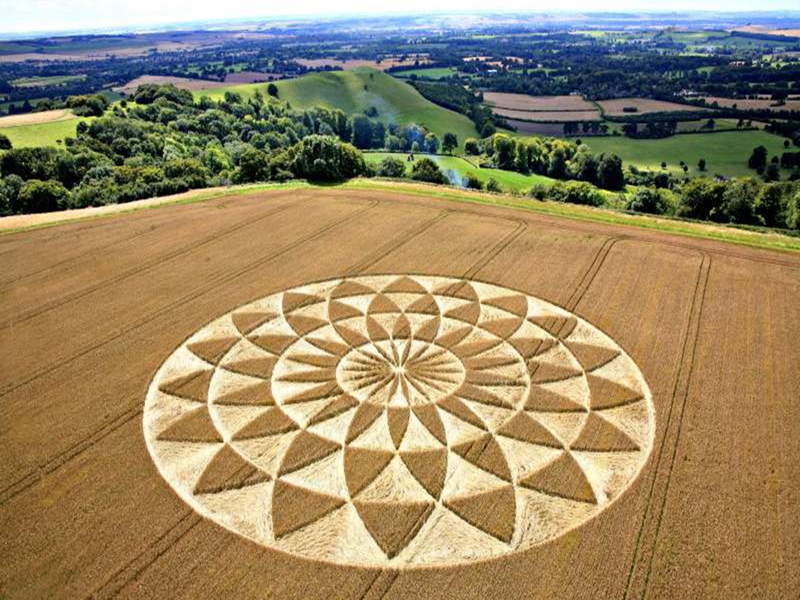 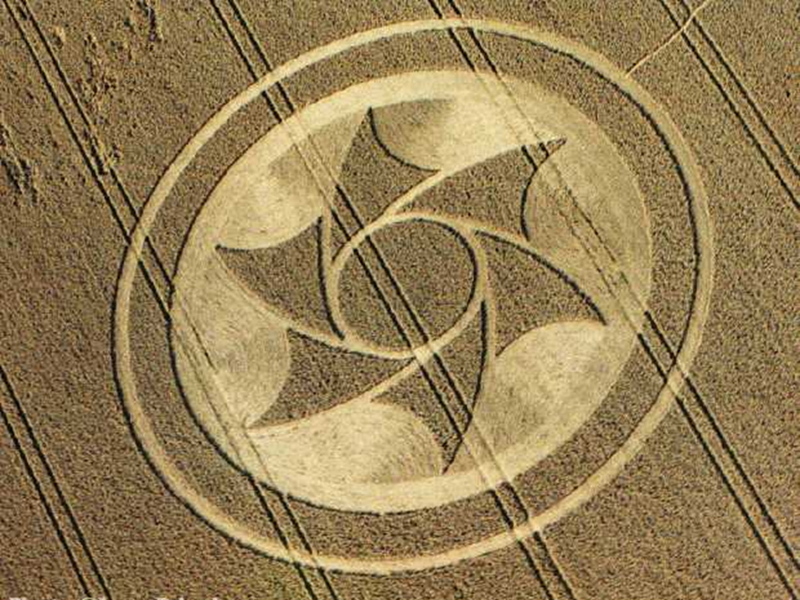 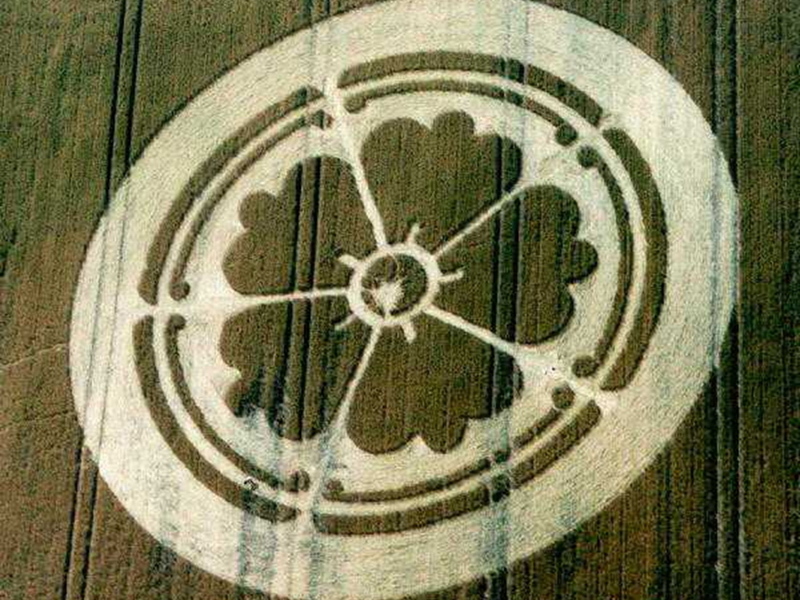 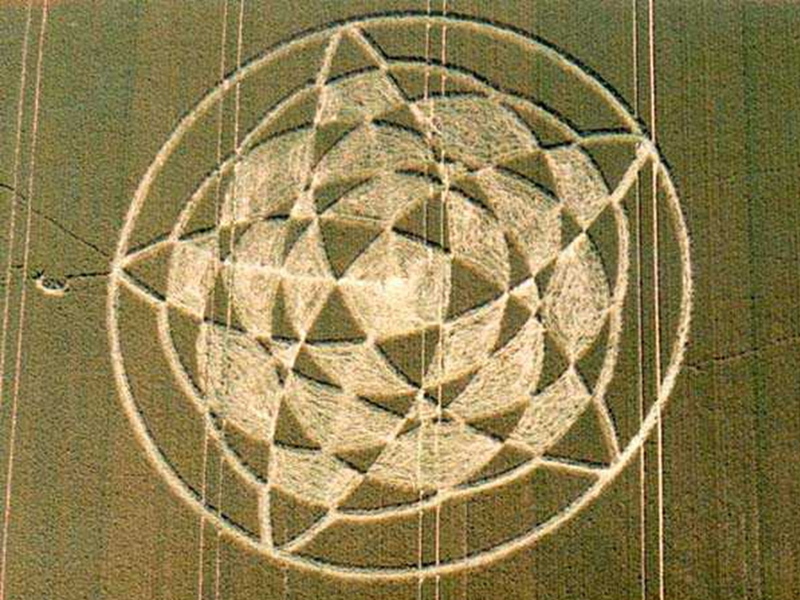 And they are more and more visible : whereas twenty years ago, the crop circle creations were observed between the months of June and August, the « season » starts now from the month of April and does not finish before the end of September (in the countries of the northern hemisphere). 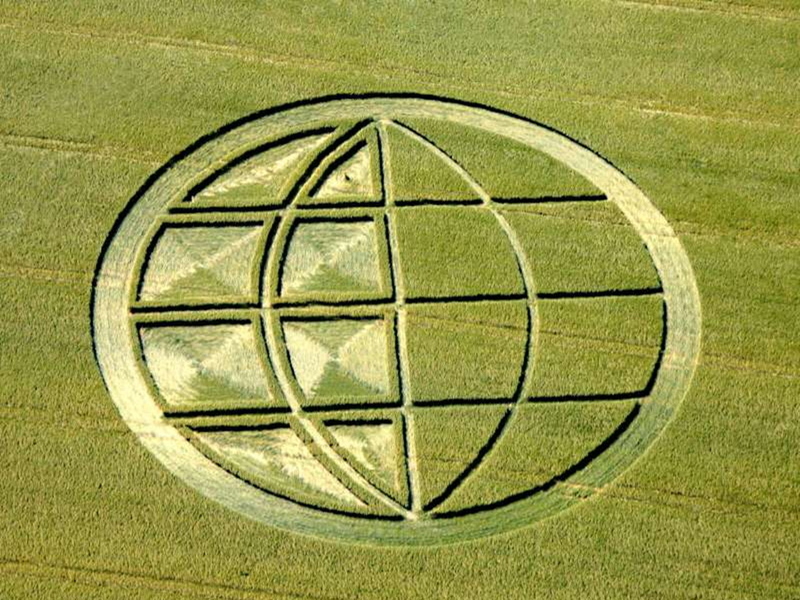 to call out to mankind of today ! 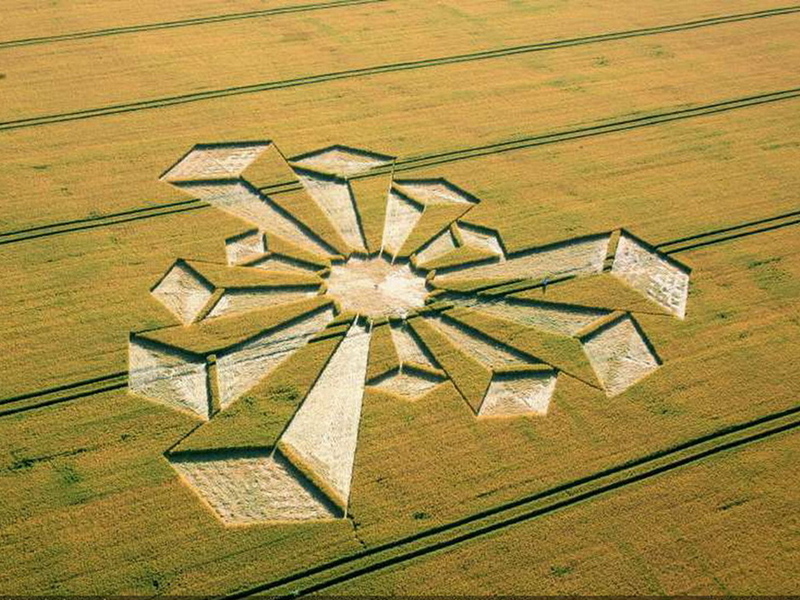 However, the greatest majority of human beings remain ignorant or incredulous, and they are unconscious of the realities of their world ! 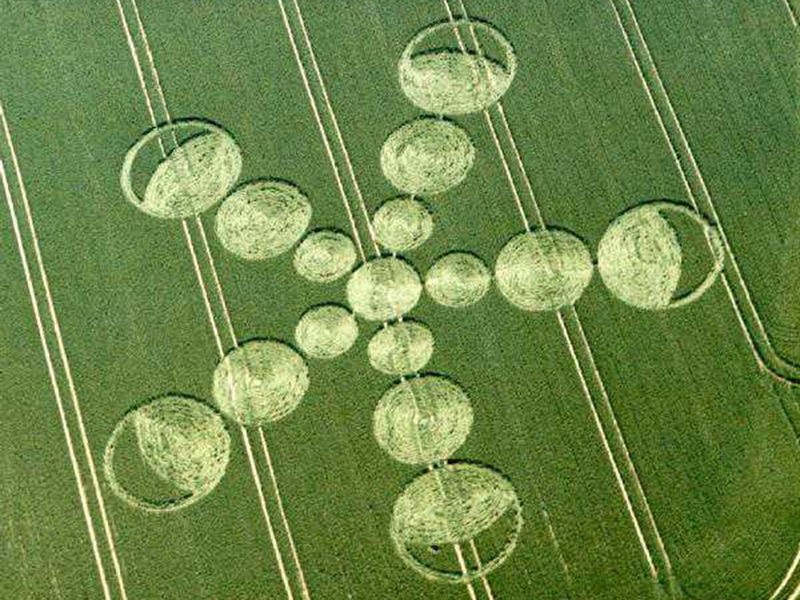 Who are the authors ? 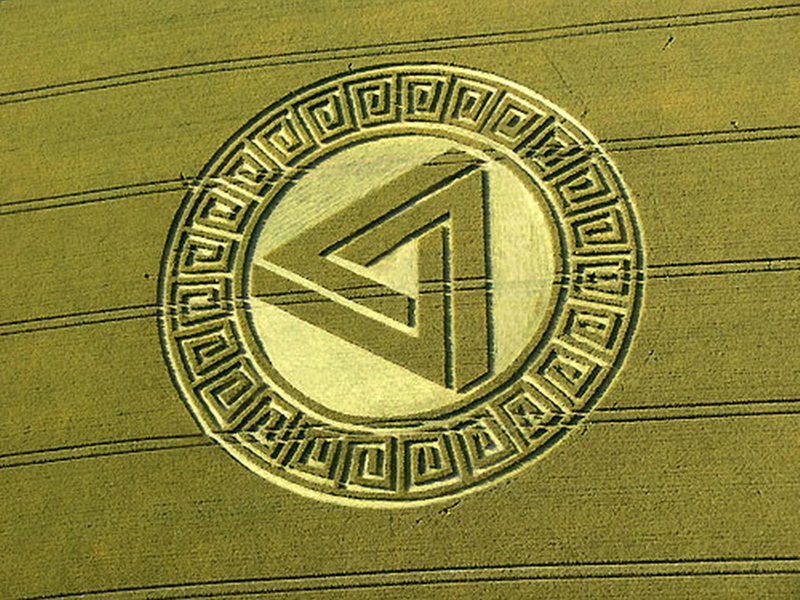 What is their meaning ? 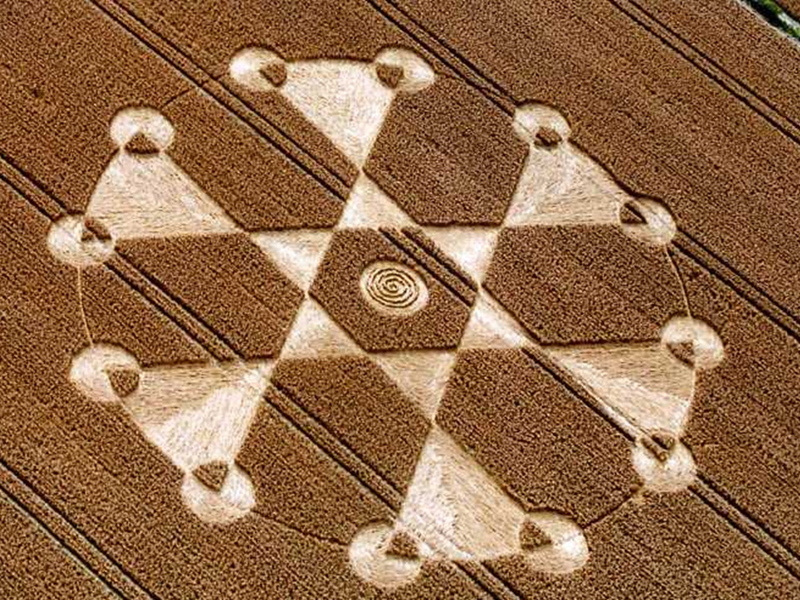 The author of this site, scientifically trained, sought to address the study of this phenomenon by different methods and... proposes different answers. 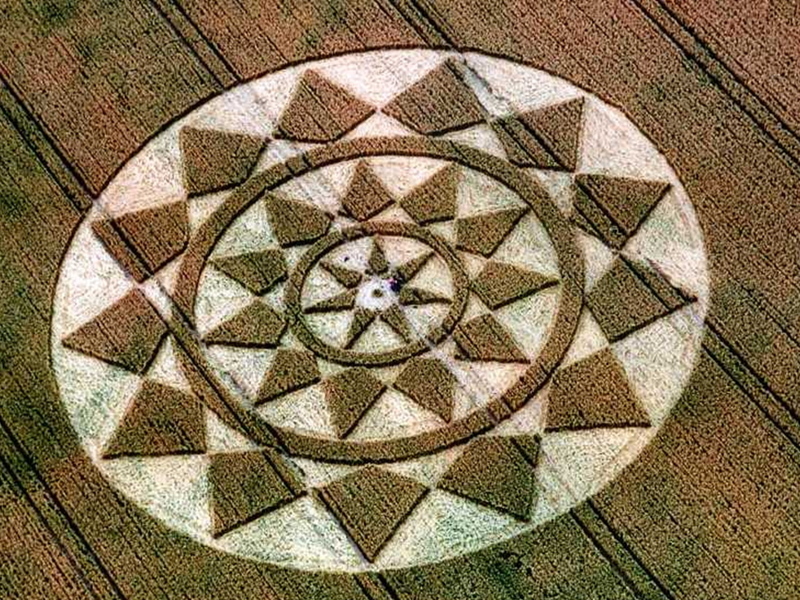 by Lucy Pringle (site : www.lucypringle.co.uk). 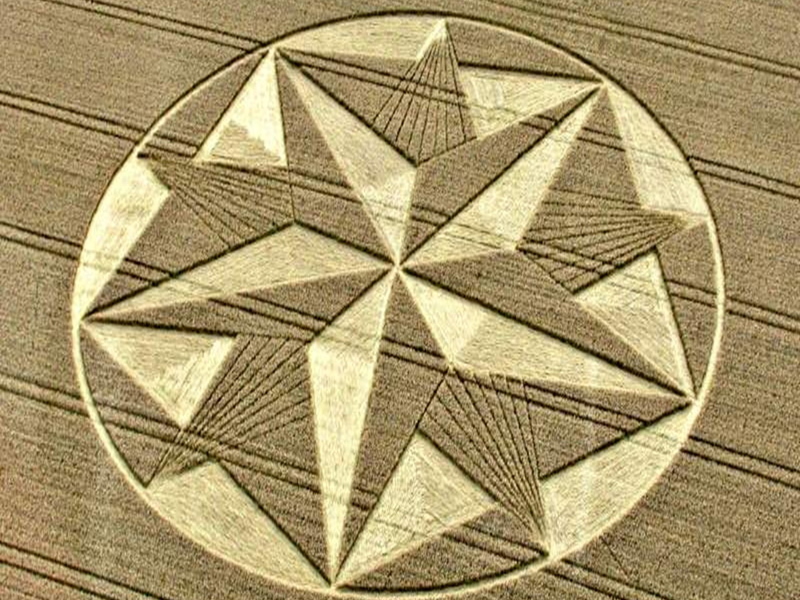 I thank her for her kind collaboration. 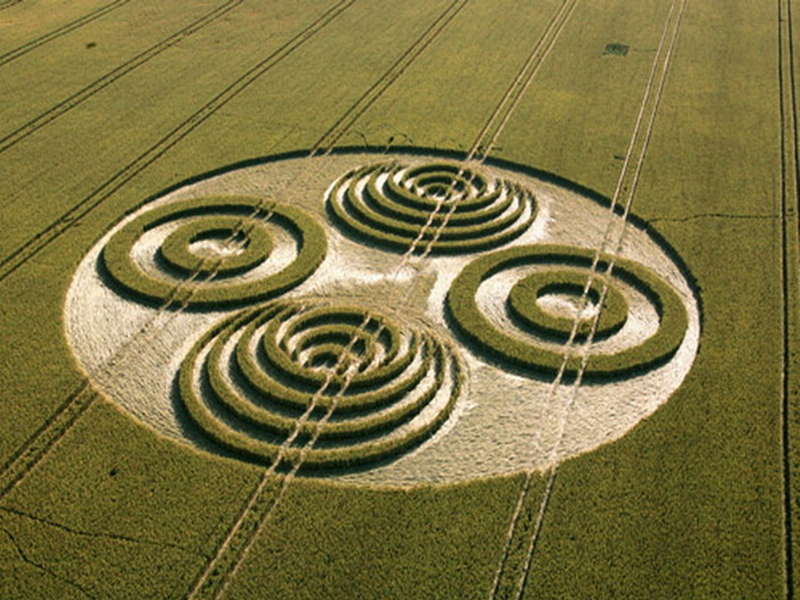 The photographs taken at ground level (the majority) are by the author of this site.